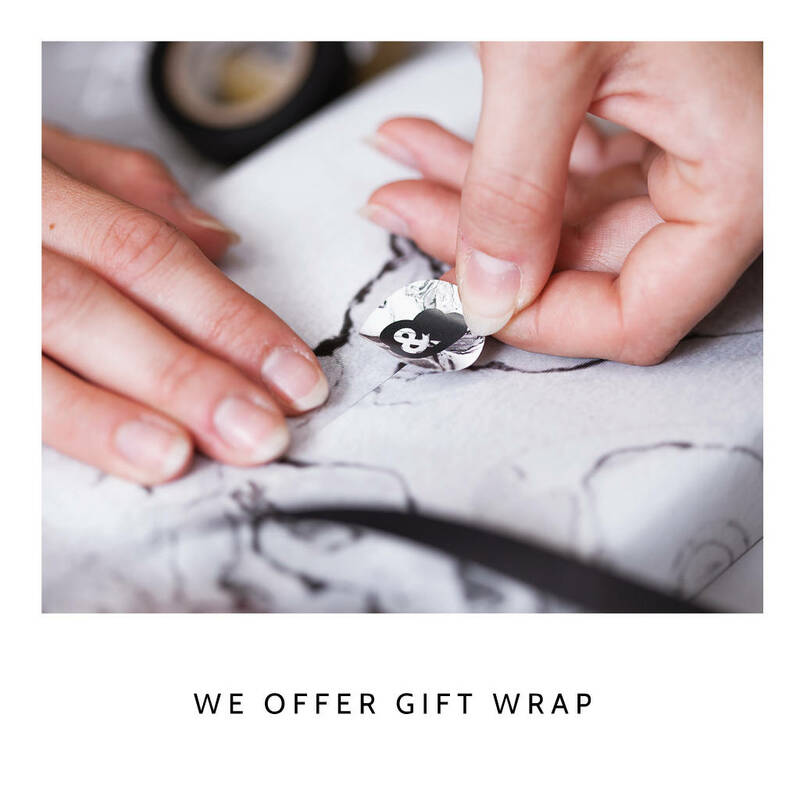 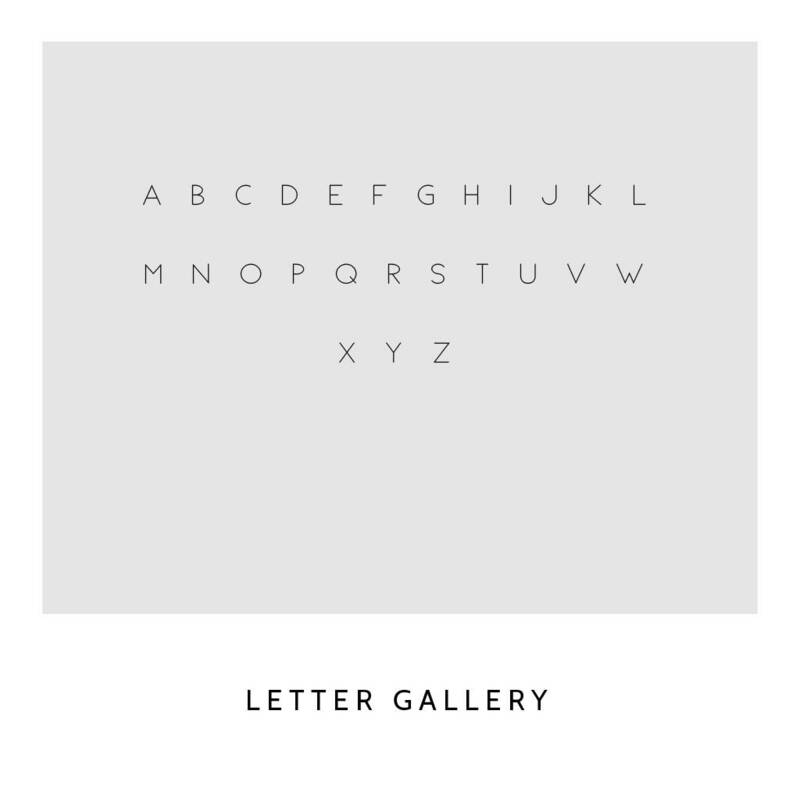 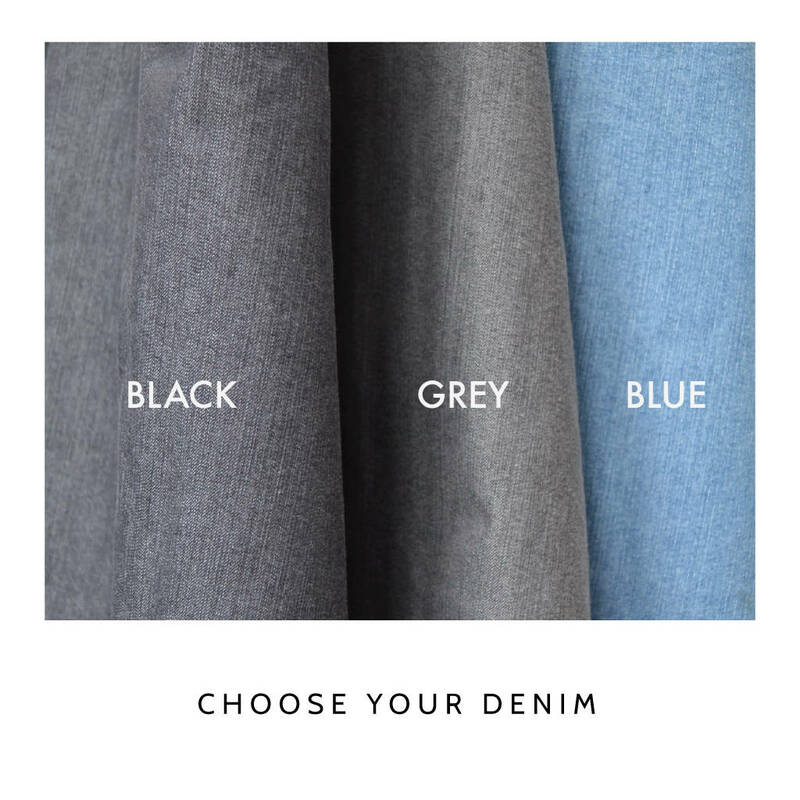 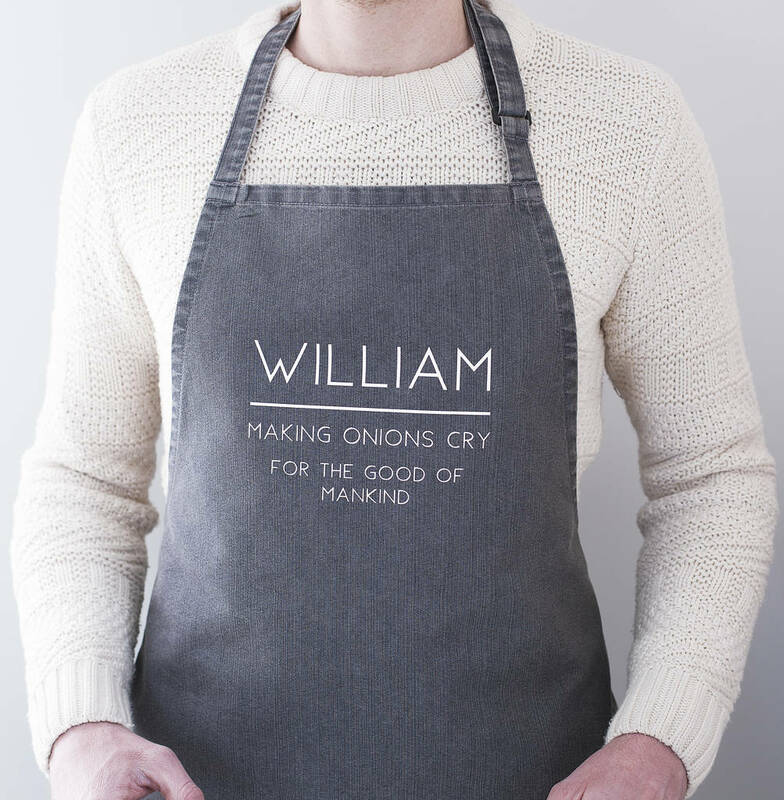 This personalised apron is hand pressed and made to order to your exact specifications on a high quality light weight denim fabric complete with a waist tie and a sliding adjustable buckle neck strap. 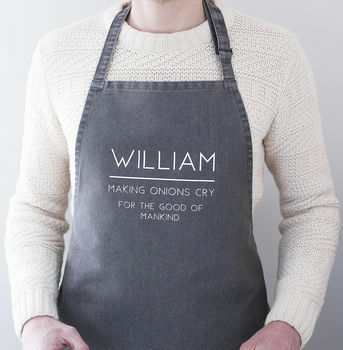 Each apron has your chosen name printed above the quirky slogan 'making onions cry' 'for the good of man kind'. 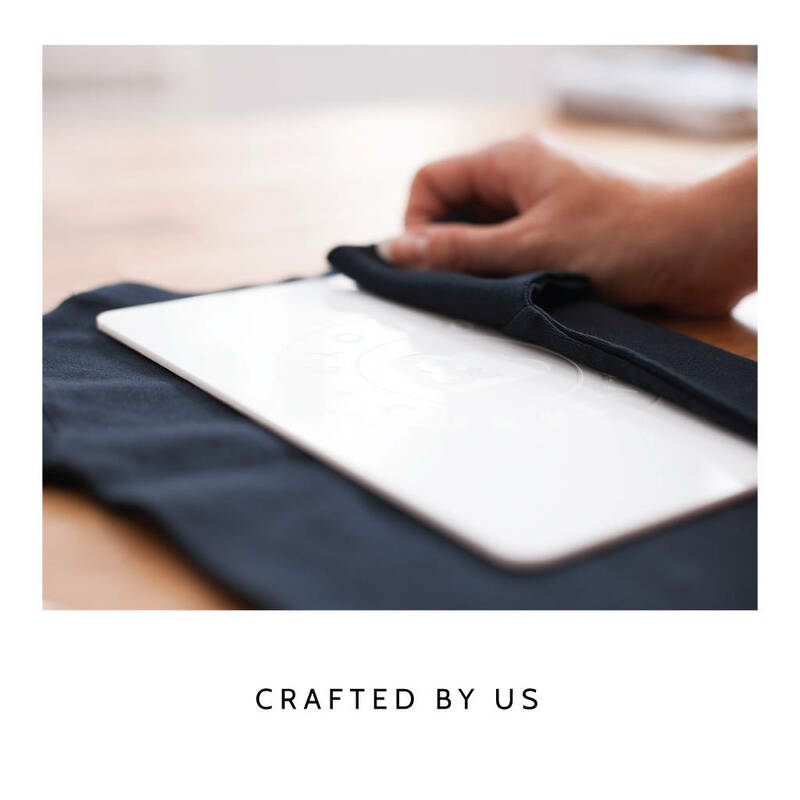 Created from high quality lightweight denim, each Clouds and Currents apron is finished by hand from our rural studio in Essex and personalised to perfection. 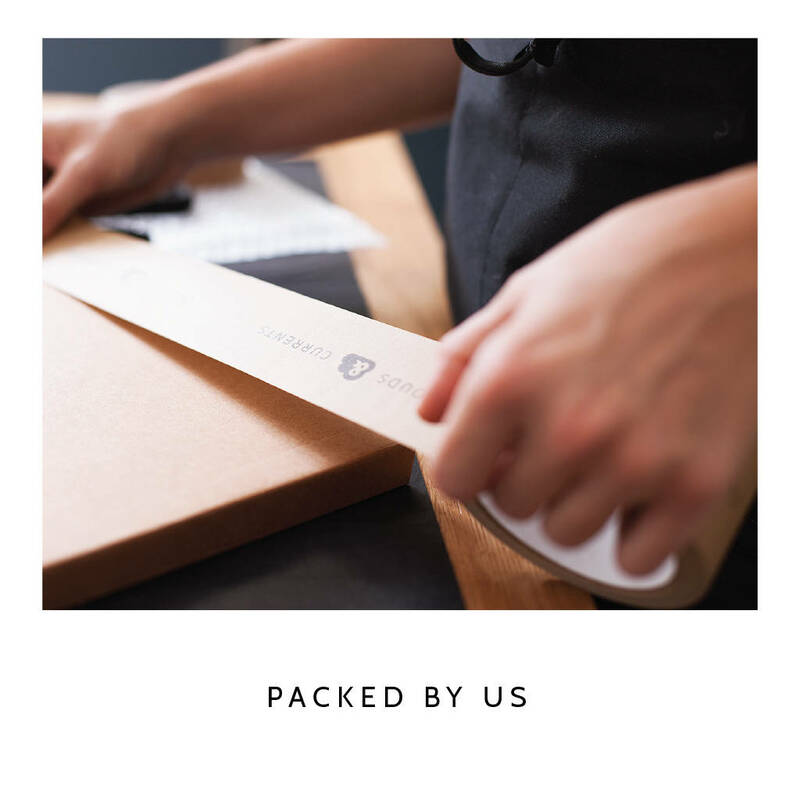 Each adult apron is created using 70% Cotton and 30% Polyester with adjustable neck straps for added comfort.